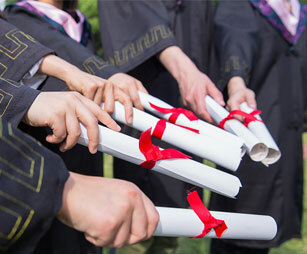 The Ministry of Education, China on March 2011 published the list of institutions and scale of employment for undergraduate Clinical Medicine programs taught in English Language for international students. Annually, there is a great increase in the number of medical universities accredited for this program. Most universities and colleges that are not approved to offer this program are putting in great efforts to enable the Ministry of Education, China to give them the accreditation. With the tremendous rise in the growth of the Chinese Embassy and the great increase in international exchanges in China, the education sector is increasing very drastically and it’s getting better day-by-day. A great number of medical colleges and universities are striving and thriving to beat the mark set by the Ministry of Education, China to gain their approval. Due to the competition set by the Ministry of Education between medical colleges and universities will be approved by the Ministry of Education to enroll international students to study the Clinical medicine in English language. As a matter of fact, all the medical universities approved by the Ministry of Education are recognized by W.H.O. in the directory of World Medical Schools. There are numerous universities in China that are very popular but aren’t listed on the Ministry of Education’s list of approved universities. Most medical colleges and universities have the facilities and personnel’s ready for the program but they have to meet the full requirements and standard set by the Ministry of Education, China. The cost of tuition is another factor for the popular non-listed medical universities, because it’s relatively cheaper compared to the listed medical universities in China. The standard of teaching and learning by these popular non-listed medical universities are excellent. Very soon, all the medical universities and colleges in China will be approved to offer clinical medicine to international students due to the advancement of the education sector in China and the great investment made by the Government of China.